View special GOURMET PRODUCT PACKAGES for purchase here. Mix and match selecting from the specialty gourmet products below. All orders of $77 or more – ENJOY FREE SHIPPING! This item is one of our most popular products. Our FarOut Sauce can be used as a marinate for meat, fish, poultry or vegetables, and can be used on pasta, rice, pizza, etc. It can even be used as a finishing sauce or a salad dressing. You can bake, broil, grill or use it to “stir fry” up to 420 degrees. With this product you are getting the most “bang for your buck” as we have included five of our gourmet products, as well as, four of our Above Organic CPTG (Certified Pure Therapeutic Grade) Food Grade Digestible Essential Oils, including our Cannabinoid Oil Copaiba. 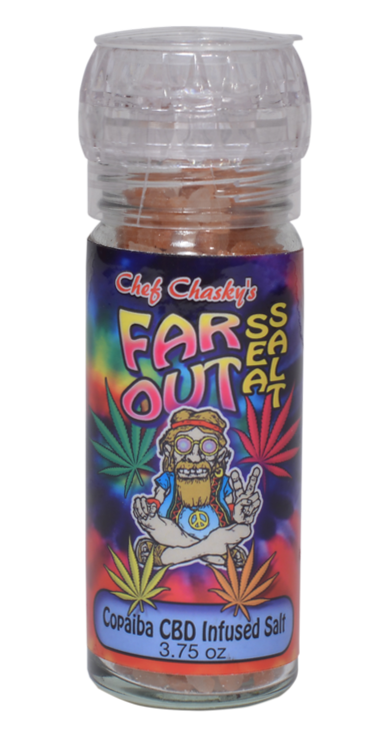 Our FarOut Salt is sure to be a “Table Top” Discussion with the colorful picture of our Hippie Guy, Peace Sign in tow! This beautiful grinder is filled to capacity with our all- purpose Rock Pink Himalayan Sea Salt, and “Infused” with our above organic CPTG (Certified Pure Therapeutic Grade) Cannabinoid Oil Copaiba which can elevate your neurological, immunological, cardiovascular and digestive health! Chef Chasky searched for over 40 years to find this oil! This Limited Reserve EVOO is imported from Puglia, Italy and made from Cortina Olive trees that are 500- 1,000 years old. This Limited Reserve EVOO harvested by the Mazzone family, has a smoke point of 420 degrees Fahrenheit, and 600 mg of polyphenols, which are antioxidants known to decrease internal inflammation. Most Olive Oils only yield around 300-400mg of polyphenols, making our Olive Oils healthy benefits a cut above the rest. This amazing Olive Oil is stone milled and cold pressed, making it a staple and a must have for every Epicurean kitchen. It can be utilized in hot and cold applications. Our velvety balsamic vinegar is more reminiscent of sipping a fine port wine than a balsamic vinegar. Created with the “black grape” from Greece, which we joke was “sneaked” into Italy during the Trojan Period. It is brilliantly infused with Wild Orange from Brazil and boasts an acidity of less than three percent. You’ll be pleasantly inspired to create mouth popping delicacies in your kitchen. Imagine using it on a capresse, bruschetta, or fresh heirloom tomatoes, in a salad, or your specialty dip. Let the flavor entice your taste buds and imagination into exploring newfound cuisine. Imported from Puglia, Italy this is our pure seedless fig reduction (like a balsamic glaze) and it is AMAZING! There was no sugar in Europe before the 1500’s and everything was naturally sweetened with figs. Our Fig Get It is pure, seedless, and brilliantly infused with the Certified Pure Therapeutic Grade (above organic) Digestible Essential Oil of “Cannella”, which is a fancy word for Cinnamon. 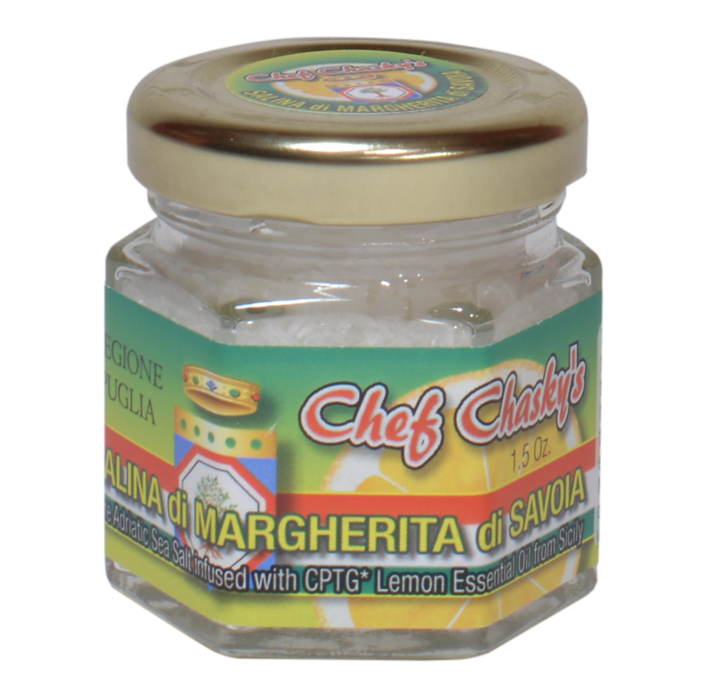 Use it on gelato, cheesecake, caprese, as a finishing sauce on fish, poultry or meat. Top off your veggies or use it as one of our loyal client’s does, in her Martini! A little goes a long way with this delicious product, so rule of thumb is a pencil line will do! There are over 40 servings per bottle. 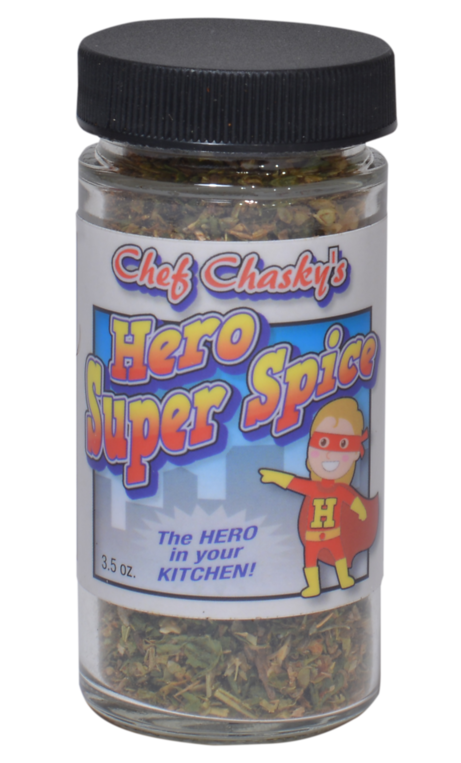 Our Hero Super Spice was designed for your little up and coming “Hero” Chef. Strategically infused with the Certified Pure Therapeutic Grade Digestible Essential Oils of Vetiver, for increased focus, Lemon, for alkalinity pH balance, Lime for mental clarity, relieving stress, promoting relaxation, and Wild Orange for decreasing anxiety, uplifting mood and supporting your immune system. This potent spice is an incredible dry rub or all-purpose spice. Hero Super Spice is a marriage of flavors to be added to any mouthwatering dish such as, pizza, pasta, sandwiches, eggs, or sprinkle on your veggies! Our “All Jacked Up” Dry Rub is a popular spice for grill lovers everywhere! It is made with organic Sumatra coffee, and Wild Orange from Brazil, strategically blended with another one of our gourmet products called Mile Marker 44. Don’t let the name full you as it can be used on anything. It is a marriage of flavors not heat and you can use it in your veggies, omelets, dips, mac n cheese, on your meats, fish, poultry or in a dipping sauce made with our Limited Reserve EVOO, Nero di Troia Balsamic Vinegar and Margherita di Savoia Adriatic Sea Salt infused with CPTG (Certified Pure Therapeutic Grade) digestible Essential Oil of pure Lemon from Sicily. 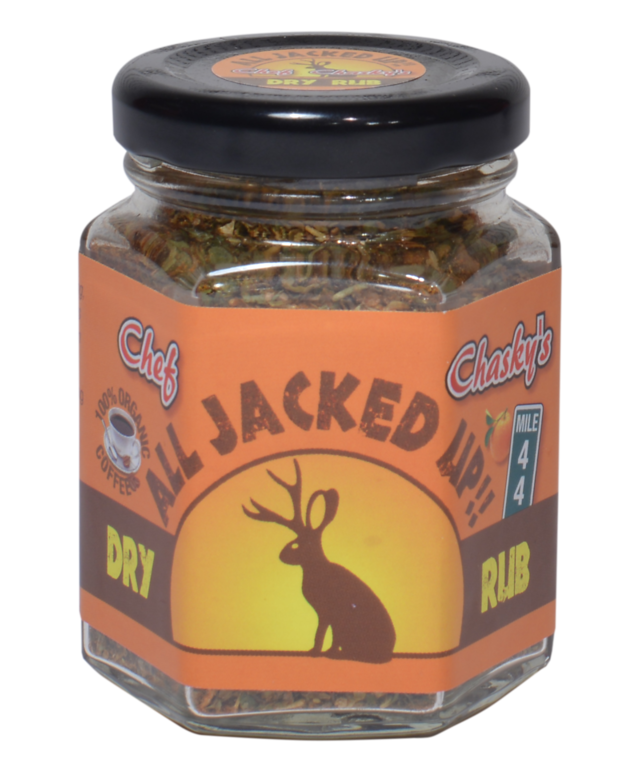 Our “All Jacked Up” dry rub is potent so if baking, broiling or grilling meat, chicken or fish you need only use it on ONE side. Note a little goes a long way and it is a “Bomb Diggity” Dry Rub! Our Mile Marker 44 was created in Memory of a young man who died in a fatal automobile accident at an all to early age, and his favorite number was 44. 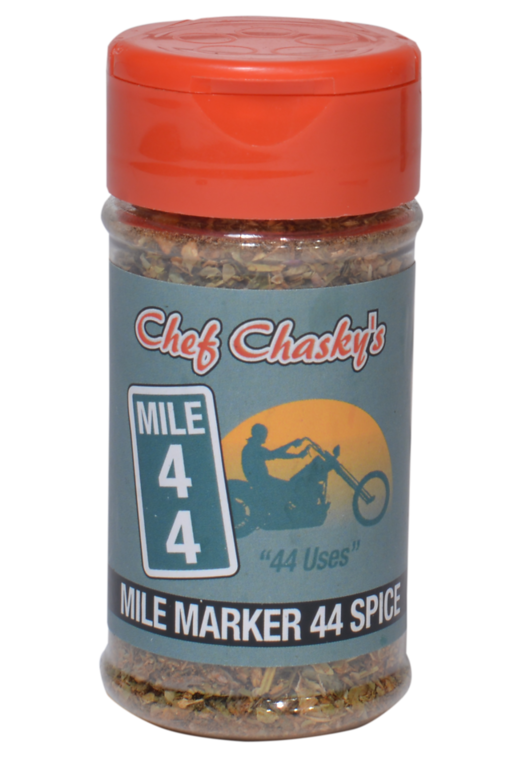 Chef Craig, encouraged by Paul Prudhomme, with whom he worked, to design a dry rub took this opportunity to honor this young man’s memory by creating a delicious multi-purpose dry rub with 44 uses. Our one of a kind Lavender Pepper, is made with Tellicherry Indian black peppercorns from Malabar India and pure Lavender harvested for its purity from Bulgaria. Tellicherry peppers stay on the vine longer and therefore boast a more robust flavor. And our pure Lavender is not only relaxing and calming but also known for its antihistamine properties. Our Lavender Pepper has a mild taste and can be used on everything you would normally use your pepper for. This is one of our most popular products. Our GetGotGood Pepper is quickly becoming our most popular pepper as it boasts 2 of our CPTG (Certified Pure Therapeutic Grade) digestible Essential Oils. 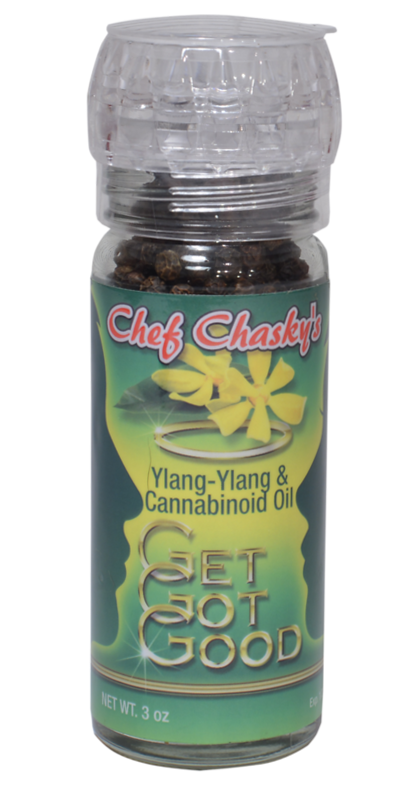 The first is Yylang, Yylang which is known to enhance hormonal balance in both female and males, which naturally increases libido, and our cannabinoid oil Copaiba, which helps to support one’s immune, respiratory, integumentary, cardiovascular and neurological systems. It also has anti-inflammatory benefits and pain reducing qualities. Ylang, Ylang is also in Marilyn Monroe’s favorite fragrance Chanel No.5. GetGotGood Pepper, with its robust flavor, and distinct taste, is great on fresh salads, in soups, on eggs, sandwiches and everywhere you would normally use your pepper. It has therapeutic benefits and great flavor! 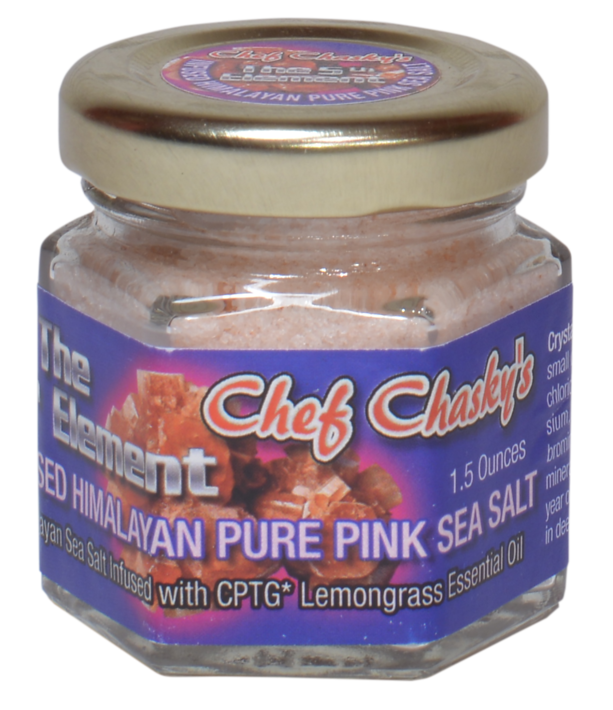 Our Lemongrass infused 5th Element Himalayan Pink Sea Salt is rich with 84 trace minerals that are great for your body. Additionally, as it is infused with CPTG (Certified Pure Therapeutic Grade) digestible Essential Oil of Lemongrass which helps to fortify your adrenal glands, joints, and offers many other health benefits. The Himalayan Salt beds are the largest and purest as they are encapsulated by glaciers. This course Sea Salt is from the Adriatic Sea, the second largest salt bed in the world. And is infused with CPTG (Certified Pure Therapeutic Grade) digestible Essential Oil of pure Lemon from Sicily, harvested from the rind not the pith, which is a distinguishing factor. This makes it high in bioflavonoids and antioxidants. 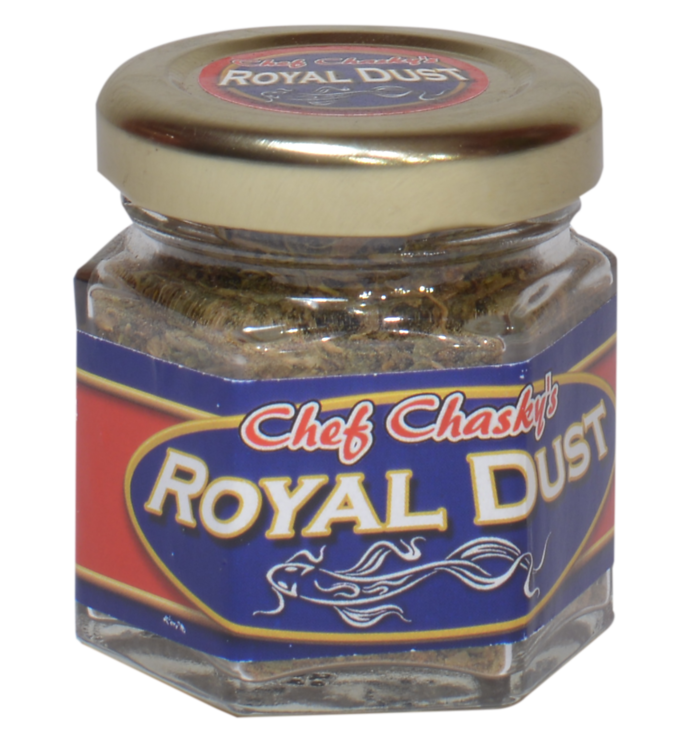 Our Royal Dust Dry Rub Seasoning is a “one of its kind’ in taste and therapeutic value. It boasts 14 flash dehydrated organic mushrooms and half an ounce of Bottarga Caviar. Rich in Magnesium, Selenium, very high in Acetylcholine (neurotransmitter-key in memory retention), high in protein, Omega 3’s, & 6’s, Monosaturated Fats, Vitamins E, B12, A & D, Folate, Choline, Iron, Phosphate and Zinc. This dry rub can be used on anything that you desire to pop with flavor such as pasta, salads, crostini or vegetables and sauces. And a little goes a long way. Specialty Gourmet Products designed by Celebrity Chef Craig Chasky from the Food Network and who ran a 4 Star Restaurant in the Berkshires for over a decade! Mix and Match individual gourmet products or order your favorite Gourmet Product Packages right here online! Enjoy FREE SHIPPING on all orders of $77 or more! !